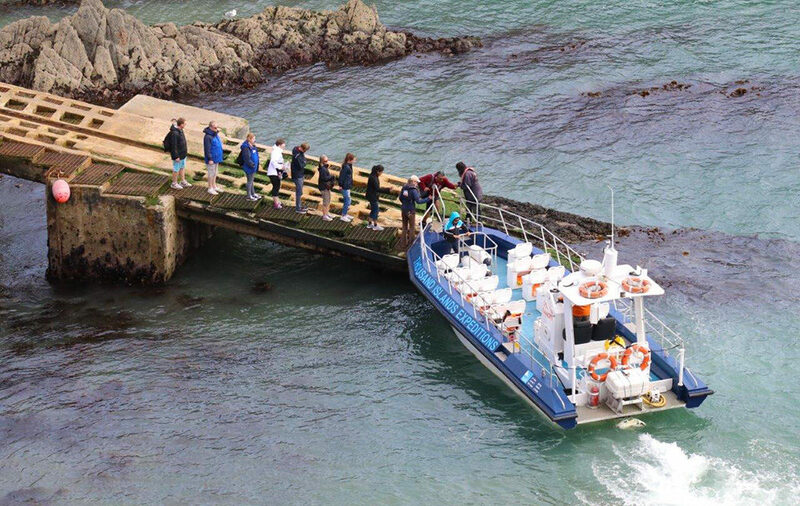 The day begins with a ferry boat trip across Ramsey Sound to Ramsey Island harbour. 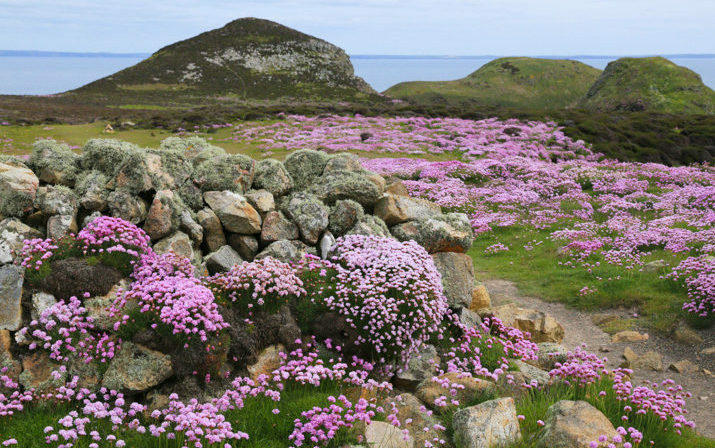 The Islands RSPB warden will be waiting for you when you land. You will be introduced to this beautiful island nature reserve in the islands display room. You will be given a brochure containing a basic map of the island, it is then time to explore the island at your leisure and enjoy the unspoilt natural beauty. 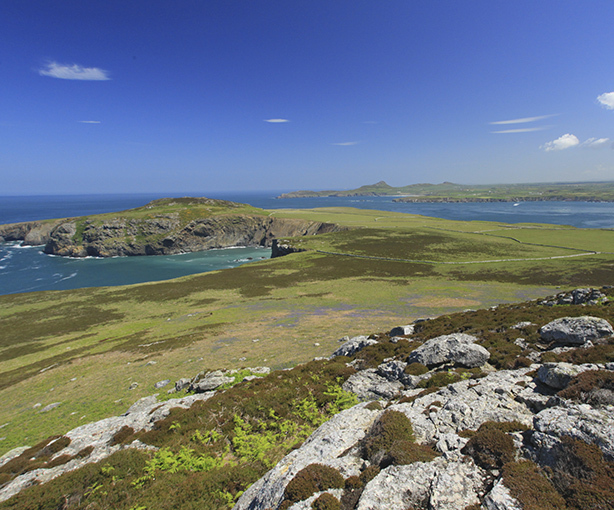 Seals, seabirds and a myriad flora and fauna make up this beautiful Pembrokeshire island. 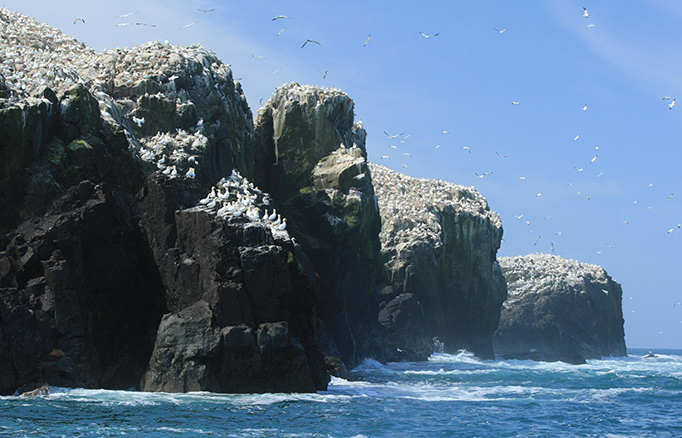 At 14.15 you will leave Ramsey Island onboard an exhilarating boat trip to Grassholm Island RSPB Nature Reserve to see the spectacular gannet colony, in the company of our wildlife guide. During the trip we alsoblook for puffins, manx shearwaters and many other seabirds as well as porpoise, seals and possibly larger marine mammals. Due to the rough terraine on the island trail a reasonable level of fitness and sturdy footwear or walking books. On your journey to Grassholm warm waterproof clothing is required.